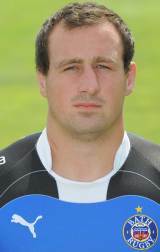 Fearns joined Bath from the Sale Sharks at the end of the 2010-11 season and while the following season was disrupted through injury, he did enough to force his way into the international reckoning after being named in England's 42-man party for their tour to South Africa, where he featured in midweek meetings against the South African Barbarians. Fearns had represented England at Under-16, Under-18 and Under-20 levels. His performances at the 2009 Junior World Championship with England saw him nominated for the IRB Junior Player of the Year award. Having represented England in a non-cap match against the Barbarians at Twickenham at the end of May 2011, Fearns was called up to the England Saxons squad for the 2011 Churchill Cup final against Canada, which England won 37-6.